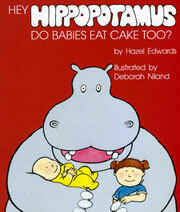 Picture Books: Hey Hippopotamus Do Babies Eat Cake Too? TITLE:"Hey Hippopotamus Do Babies Eat Cake Too?" Sometimes there can be mixed or confused feelings about a new baby in the family. With the help of the Hippo, the baby is welcomed and embraced. This book is often given as a gift to the existing child in a family expecting a baby. (Sandy Jones photo credit) Hazel sharing 'Hey Hippopotamus, Do Babies Eat Cake Too?' because it is relevant for families whose structure is changing. Hippo ,the big imaginary friend, provides reassurance. The Dolly Parton charity includes Hazel's books for families who do not have easy access to quality picture books. 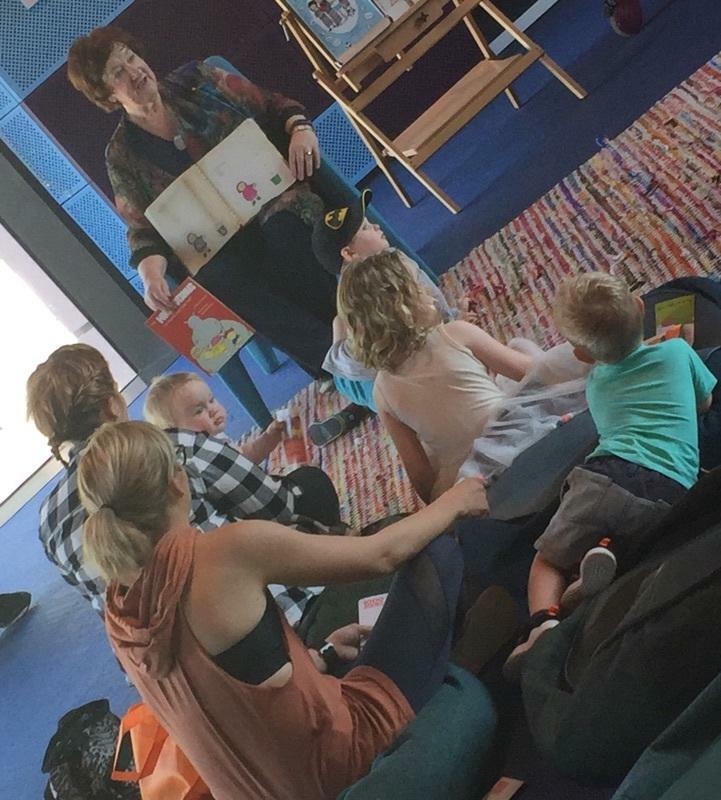 'The 'Imagination Library' started in the USA and is now in Australia run by United Way. Buy your own copy of Hey Hippopotamus Do Babies Eat Cake Too? The Hippopotamus series can provide an imaginative and fun theme for the kindergarten, classroom and the school community as a whole. A range of resources are available for download below.